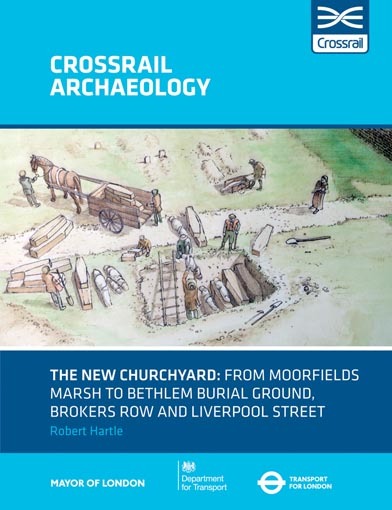 Our latest Crossrail archaeology book The New Churchyard is published. 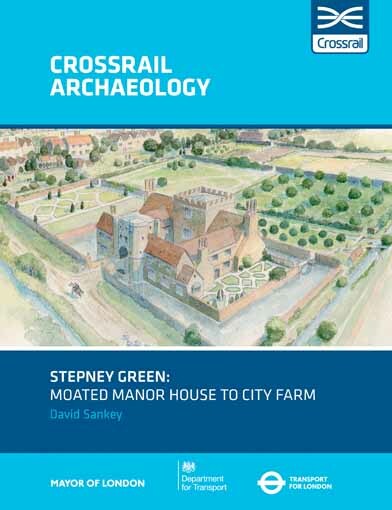 It reveals the results of the largest archaeological study of London’s population from the 16th to 18th centuries. Analysis of skeletons unearthed by our archaeologists during construction of the Elizabeth line station at Liverpool Street, exposes the bleak fortunes of poor and migrant communities living in London at that time. Combining scientific techniques with historical research the results shed light on what jobs they had and where they came from, what they ate, what illnesses they suffered and what medicines they took. The New Churchyard, sometimes known as the Bethlem or the Bedlam burial ground, was in use from 1569-1739, a period of devastating plague, fire and civil war. London boomed to become the largest city in Europe, containing nearly 10% of England’s population. High death rates and low birth rates made large-scale immigration a necessity; people from across England flocked into the capital in early adulthood to find work, spouses, and recreation. When they arrived they were greeted by increasingly crowded conditions, and their lives were hampered by bad hygiene, pollution, foul water, poor waste disposal and exposure to ‘urban’ diseases. Isotope studies, which identify unique isotopic signatures within the skeleton, were undertaken on samples from the teeth of 20 skeletons that had been excavated from the burial ground. It showed that nearly half of them had migrated into London from elsewhere in England, with one person coming from a different country with a much warmer climate. All of the skeletons appear to have been exposed to high levels of lead during childhood, perhaps from lead water pipes and glazed ceramics which would have been used for preparing and serving food. This could have led to delinquent behaviours and even compromised intelligence. Dental calculus analysis, which examines traces of DNA and microscopic material trapped in the hardened plaque of the teeth, revealed the common bacteria carried in their mouths and throats, and included flu, pneumoniae and dental disease. Evidence of the treatments they used was also found in the form of pollen grains from medicinal plants such as borage, which was used to treat everything from ‘putrid and pestilential fevers’ to ‘expelling pensiveness and melancholy’ (Culpeper 1995, 39–40). The dental analysis also provided insight into the everyday activities that people were engaging in; the remains of chicken feather barbules, likely to be from plucking birds; fibres of flax, hemp and wool, probably the result of exposure to dust from the textile industry; and evidence of exposure to smoke and soot from domestic fires. 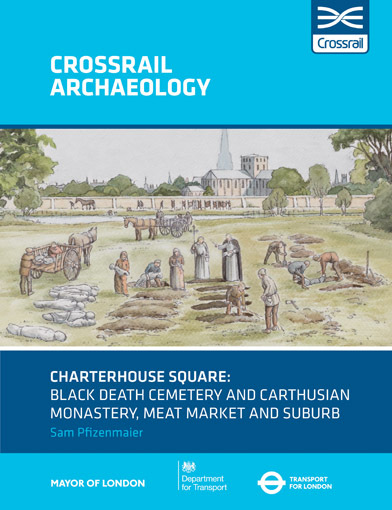 The construction of the Elizabeth line gave our archaeologists a rare opportunity to explore some of the capital’s most historically significant, but normally inaccessible sites. Across the project tens of thousands of artefacts spanning 55 million years of the city’s history have been uncovered. The findings are being published in a series of ten books, seven of which are published by MOLA and are available at www.mola.org.uk/publications. 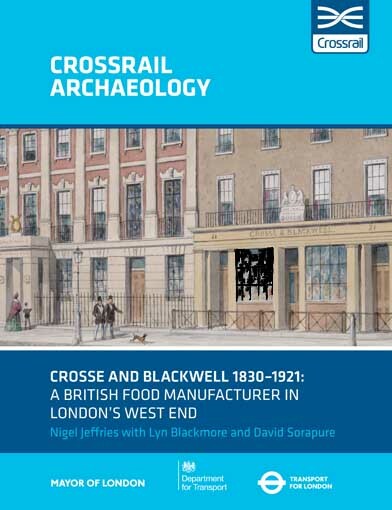 Find out more about the archaeology of Crossrail at archaeology.crossrail.co.uk.